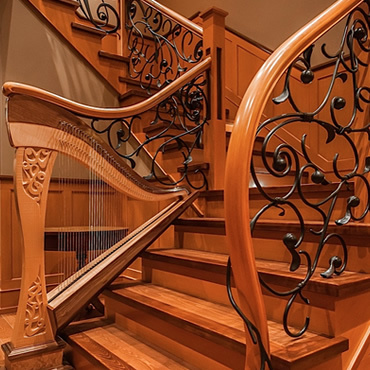 Coastal Carvings Specializes in Fine Art and Custom Home Design to order that will completely transform your home from ordinary to extraordinary. We provide work from a variety of artists in both traditional and contemporary forms to discerning clients. As an Aboriginal art gallery Coastal Carvings has both Northwest Coast Native art and art from across Canada from other Native Indian Nations (Haida, Tsimshian, Salish, Ojibway, Cree, Nuu-chah-nulth, Tsimshian, Metis, Inuit) as well as other select West Coast artists. We believe there are no limits to creativity when collaborative minds come together. From our family to yours, we extend an invitation for you to come and experience the many other creations forged by Coastal Carvings at the the gallery in Coombs B.C.